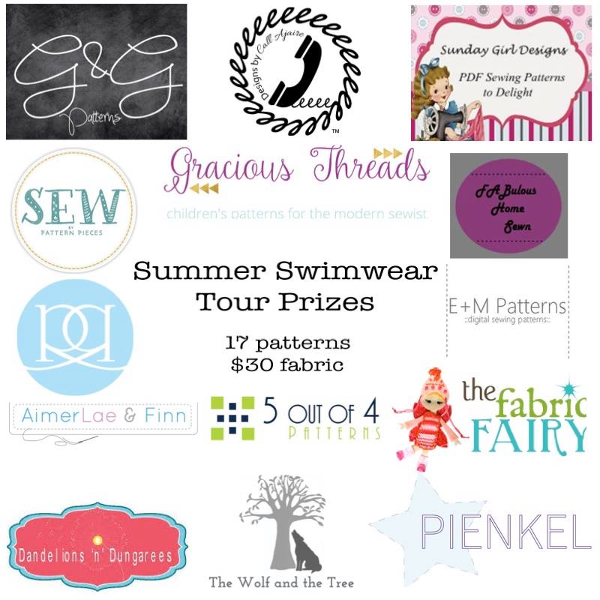 I’m over the moon to be part of this year’s Summer Swimwear Tour, especially as a new swimsuit sewist! I’m surrounded by some amazing and creative ladies in this blog tour, one of which told me sewing swimsuits would be addicting. Guess what, it so is! 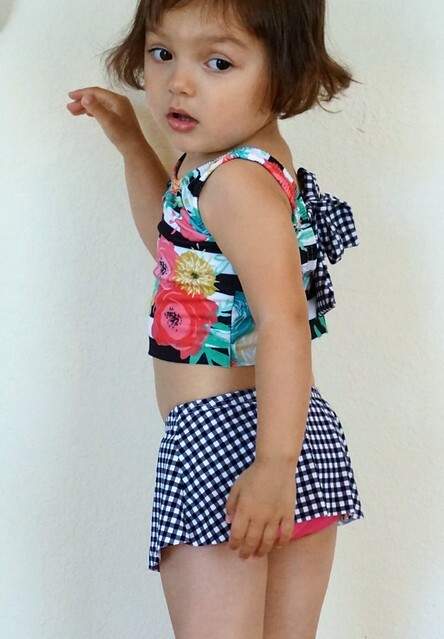 Everywhere I look I see lovely swimsuit patterns, rash guards, swim shorts, and I just want to sew them all! I was excited to see this blog tour and discover what everyone else is making too. Sometimes I’ll overlook a pattern until I see someone’s version that makes me just have to have it! 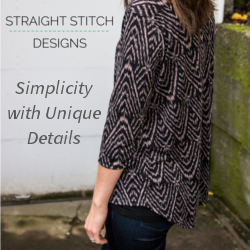 So I guess I’m just looking for an excuse to expand my pattern library really. Well let me tell you that between Gracious Threads Swim and Surf Shorts, Designs by Call Ajaire‘s Classic Maillot Swimsuit and Tankini, and The Wolf and the Tree‘s Just Keep Swimming rashguard, you will be seeing some great swimwear inspiration to drool over and tempt you! If you know me, you know I can’t just leave a pattern alone once it’s gotten under my skin. I’ve got to tinker with it. 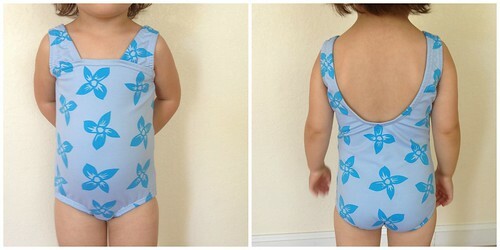 With the Classic Maillot pattern being my first swimsuit sew ever (this cute blue one above that you can read about here), I of course had to go back and mess with it. It means I love it! Seriously though, why would I do that when there are already eight views that come with it? Probably because I’m crazy, but also because I feel comfortable with this pattern. The instructions are very clear and easy to understand, and it fits my girl so well, as you can see with this cute version of views E and G, so with a pattern as firm as this one, it’s very easy to personalize it. 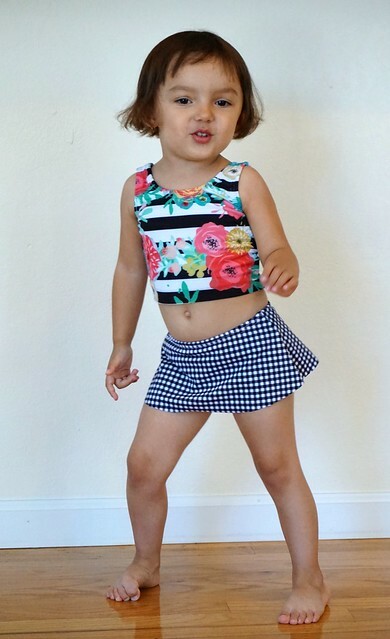 Plus, I was already making these cute little bottoms with a free skirt pattern (coming Friday! so join Designs by Call Ajaire’s Facebook group to stay informed), so I might as well make a tankini to go with it! Amirite?! The tankini was originally just going to be a simple hacked tankini of View A, where I removed the front seams. 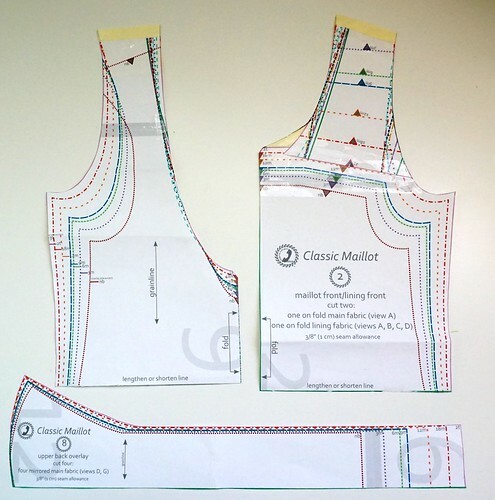 I did this by taping the front and back pattern pieces together overlapping seam allowance, cut at the top shoulder and added seam allowance to the front and back pieces, then I redrew the front neckline. You can see these changes in yellow post-in note above. 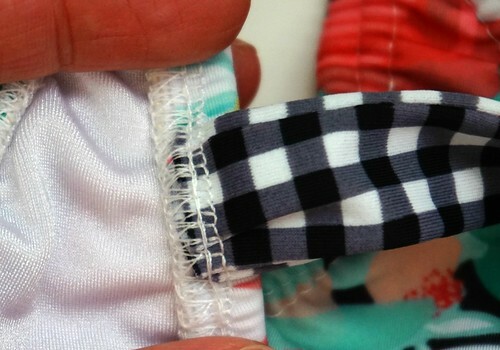 The blue arrow points to the original part of the back strap, now part of the front. To calculate the elastic I would need for my neckline, I measured the neckline at 26″, so I cut my elastic to 23″. I didn’t want it to be that much smaller than the neckline fabric. 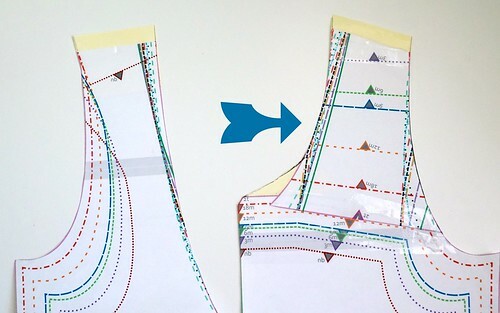 I also cut the bodice pattern at the “lengthen or shorten line” for both the front and back pieces. I didn’t want to finish the hem since I didn’t finish the hem for the skirt, and I like consistency, so if you want to finish your hem, don’t forget to add the seam allowance. I knew the shoulder straps would probably not stay up on my girl’s shoulders because her shoulders are narrow (and it also wouldn’t have the benefit of the entire suit to help pull down on the straps), so I decided to use the upper back overlay pieces that come with the pattern, and instead of putting them at the sides, I put them inside the back neckline. I did this by following the instructions up to adding the elastic to the back neckline for View A, and I layered the straps on top of the main fabric in a spot I thought looked good. I didn’t stretch the elastic around the front or back curves while sewing, most of the stretch is at the straight part of the straps. This helps keep the curves laying flat after topstitching. I also cut the lining an inch shorter than the outer bodice to keep it hidden. I’m really happy with my little tankini hack! I feel like this pattern just keeps on giving. And it does, just you see Friday! She also loves it because it’s girly and fun to shake her booty in! So, have I convinced you to sew swimwear yet? Thanks so much for joining in!! I love his hack so much and your fabrics are perfect!! I am so in love with this version! It’s adorable! Next PostNext Get to the Point! Boxwood Joggers Yeah!